Check out Rebecca's Feature in The Journal of Antique Archaeology and Mike Wolfe @ antiquearchaeology.com. New Englander moves into a music legend’s hunting cabin where she unlocks inspiration to pen her best songs. Take Hillsboro Road out of Nashville and it will lead you south to Leiper’s Fork, Tennessee, a town of around 500 people that’s protected from the bustle of the big city about 40 minutes away. Tucked away just outside its town lines is an old hunting cabin that once belonged to the 1940s gospel and country music duo, The Louvin Brothers. Ira and Charlie Louvin would retreat to the cabin after touring to hunt and occasionally drop a line in the creek out back. 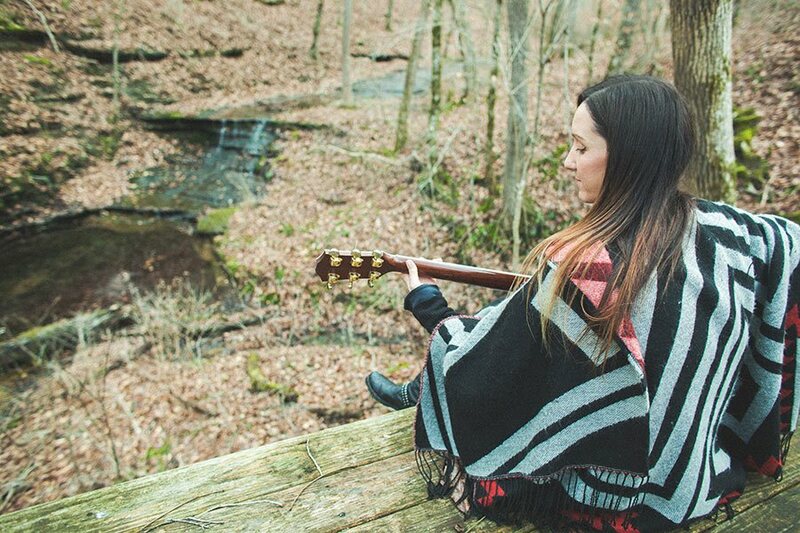 Years later, its wooden walls and surrounding woods are being used as a personal writer’s retreat for local soul-folk musician, Rebecca Correia.